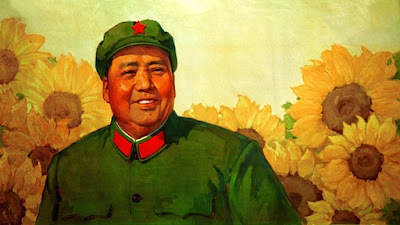 Mao Zedong, leader of the revolution and absolute chairman of the People's Republic of China, was also a calligrapher and a poet of extraordinary grace and eloquent simplicity. The book "The Poems of Mao Zedong", translated and introduced by Willis Barnstone, are expressions of the decades of struggle, the painful loss of his first wife, his hope for a new China, and his ultimate victory over the Nationalist forces. Mao seems to be inherently proud of the changes that his men brought about, both culturally and intellectually, as endorsed by the last line. The above poem 'Snow' was written by Mao in February 1936, four months after the victorious Long March, just after the Red Army arrived at its base in Yanan. On a certain day during a snowstorm, Chairman Mao went up a high mountain and took in the distant view. 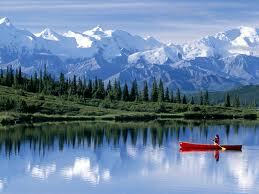 He saw the marvelous scene of a thousand li of flying snow over this whole territory and it inspired the poem. Shihuang : First emperor of the Qin dynasty, who ruled from 24 7/6 to 210 B.C. Wu Di : Emperor of the Han dynasty, who ruled from 140 to 87 B.C. The reference to Tang and Song rulers are Tai Zong of the Tang dynasty, who ruled from 627 to 649; Tai Zi of the Song dynasty, who ruled from 960 to 976.
were barely able to write; crude : These epithets suggest, in a forceful way, the emperors' lack of polish and literary talent. Genghis Khan : The famous Mongol conqueror, who ruled from 1206 to 1227.